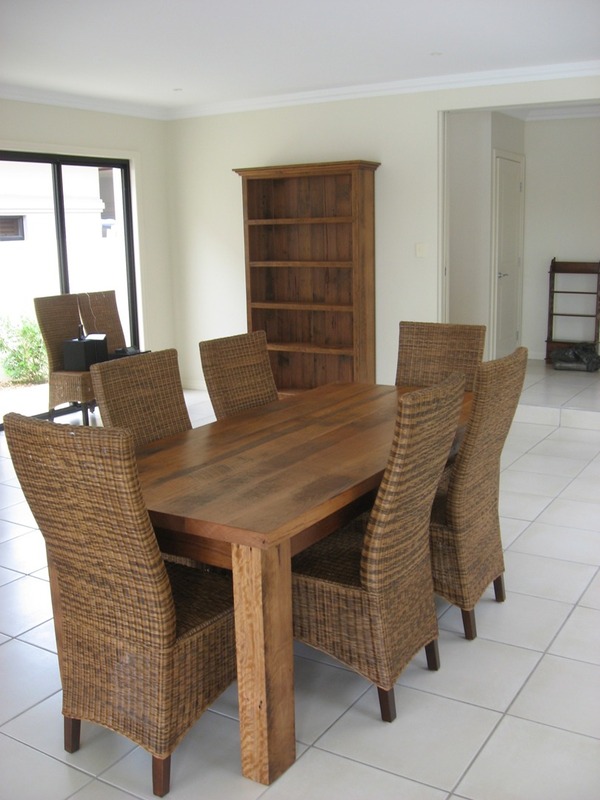 In this example a matching bookcase and note the Rattan chairs are a good mix. 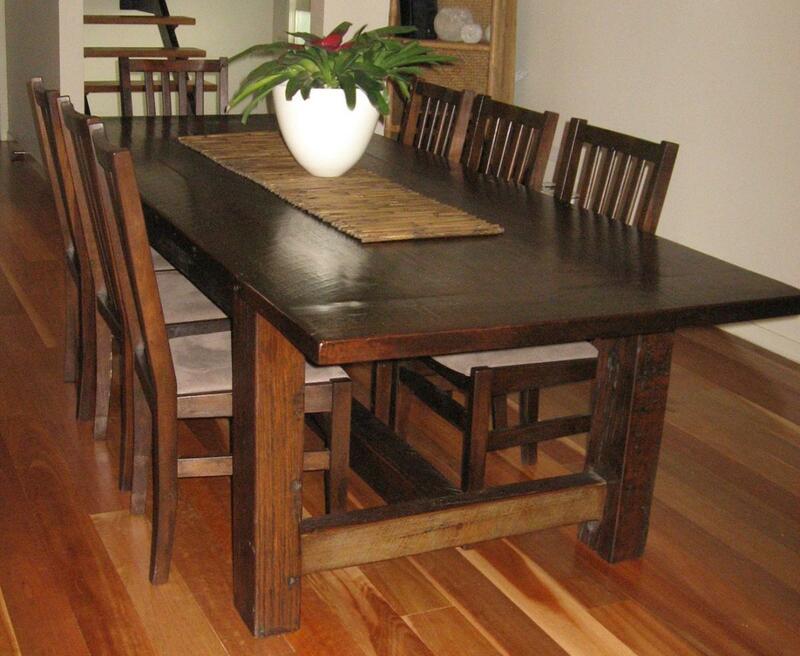 The timber is recylced Blackbutt with a walnut stain. It is called a refectory table (used originally for dining in monasteries in Medieval times) because of the timber bar adjoining the legs.